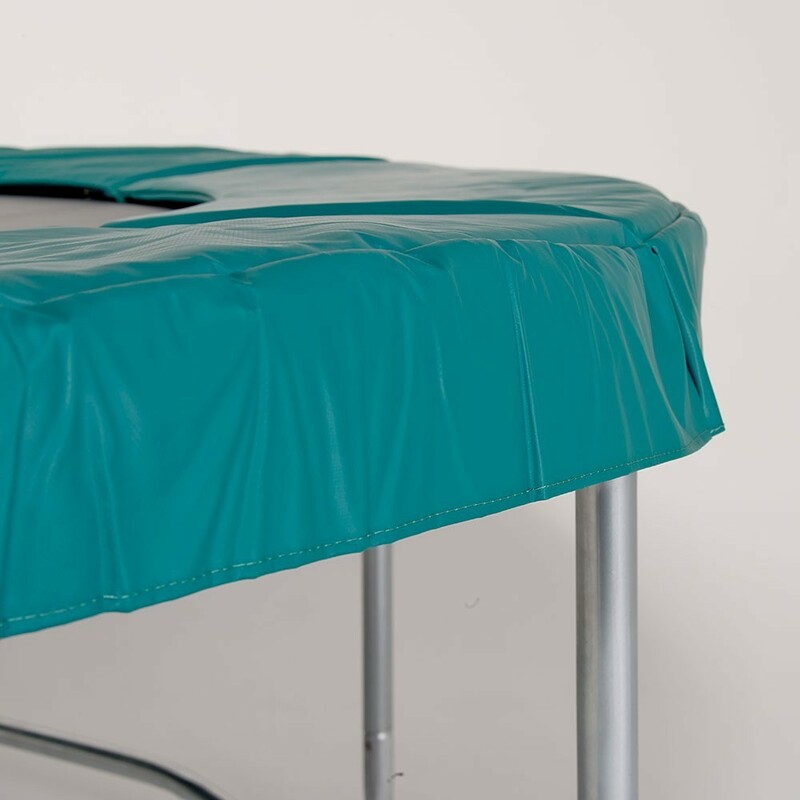 Your frame pad is an essential component that guarantees jumpers’ safety on the trampoline. The frame pad covers the springs and breaks any falls in this area. It is important to change the frame pad as soon as you notice any signs of deterioration. 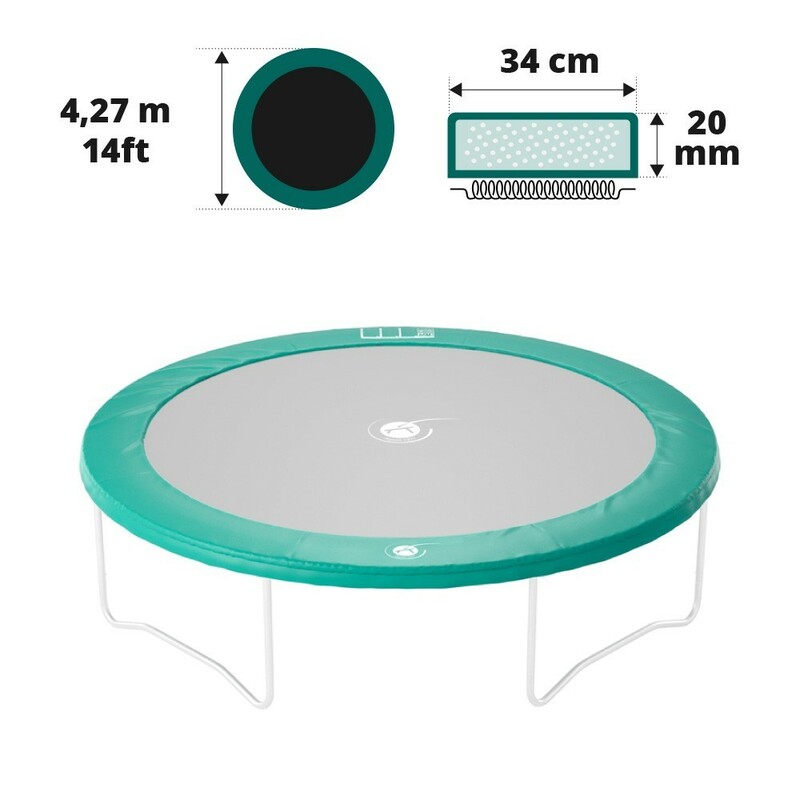 This model is adapted to round trampolines of 4.27 m in diameter. - Please make sure you check the size of your trampoline before buying a new frame pad. If it has an exterior diameter of exactly 4.27 m and the springs are no longer than 180 mm in length, then this frame pad will fit perfectly. This frame pad can be used with our Access 430 and Jump’Up 430 trampolines. 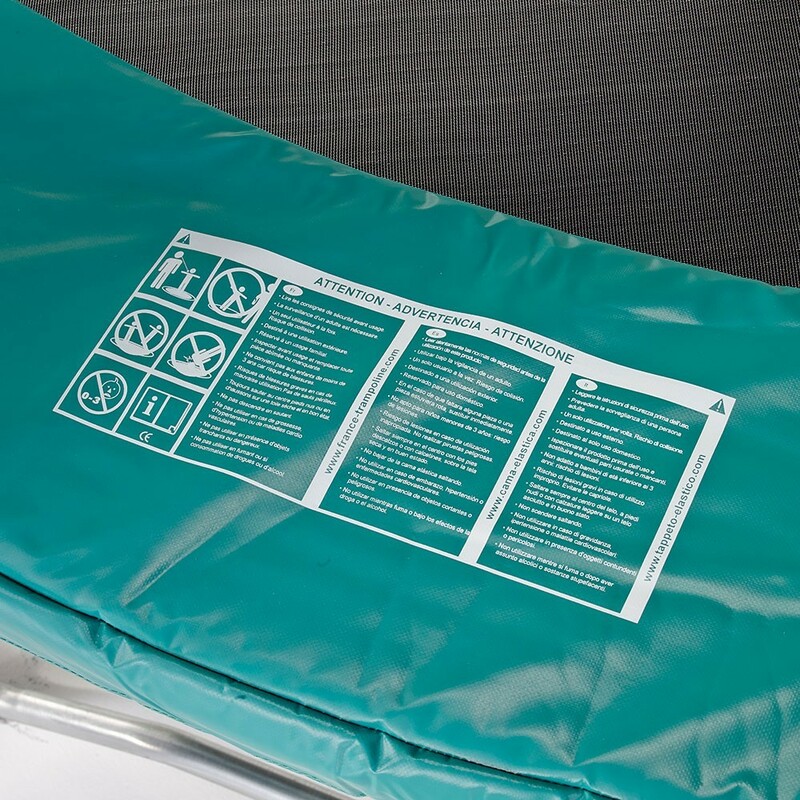 - Our frame pads are made from expanded polyethylene monobloc foam of 25 mm in thickness. This foam is used for its flexibility, which in the long term will resist the regular impact from users. This high quality product is also waterproof and weather resistant. - We chose to use a monobloc design, as this implies that the frame pad is only made from one layer of foam. It is therefore stronger and less likely to deteriorate prematurely. - The protective cover on this frame pad is made from a green PVC coating, with a density of 650 g/m² and a 0.55 mm thickness. It is protected against UV light and is particularly weatherproof. 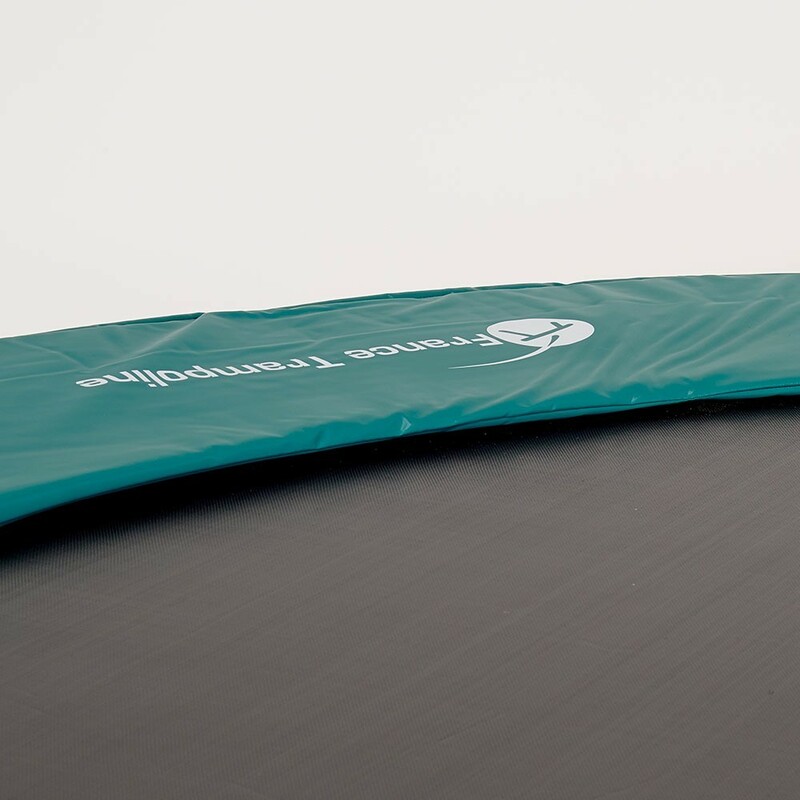 - To ensure your frame pad stays on your trampoline, we have used a fixation system which combines steel eyelets and black elastic straps. This system is quick and easy to use. 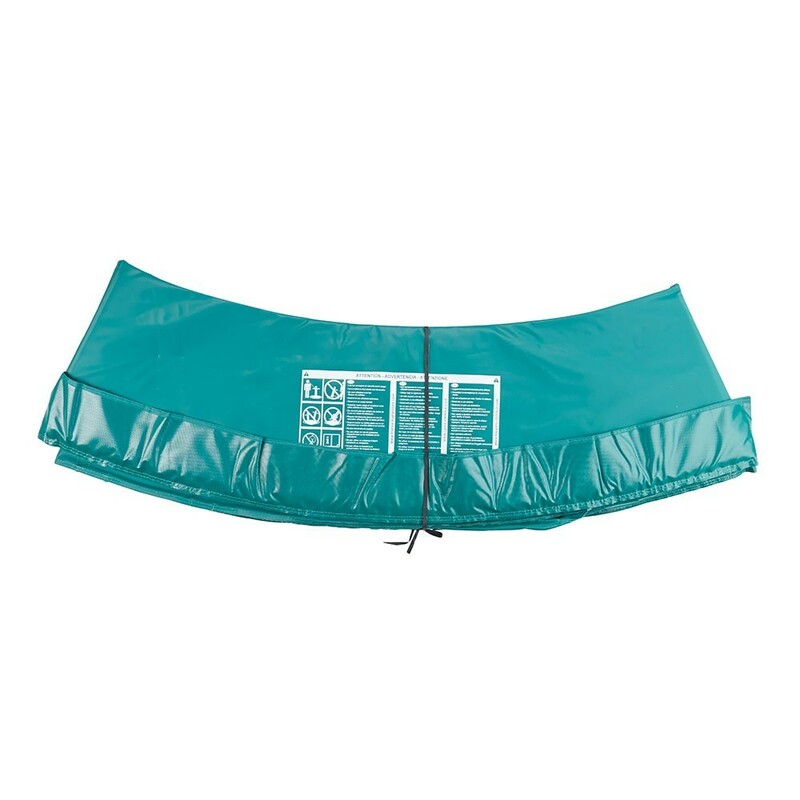 The elastics must be threaded through the eyelets and fixed to the steel framework of your trampoline. 16 elastic straps are delivered with the frame pad.